Membrane proteins fold, assemble and function within their native fluid lipid environment. 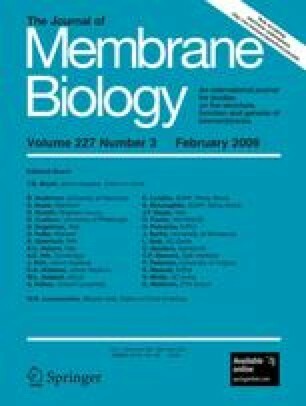 Structural studies of fluid lipid bilayers are thus critically important for understanding processes in membranes. Here, we propose a simple approach to visualize the hydrocarbon core using neutron diffraction and deuterated lipids that are commercially available. This method should have broad utility in structural studies of the bilayer response to protein insertion and folding in membranes. We thank Drs. M. Mihailescu and D. Worcester for their help with neutron data collection and processing and for useful discussions. This work was supported by National Institutes of Health (NIH) grant GM068619 (to K. H.). We acknowledge the support of the National Institute of Standards and Technology, U.S. Department of Commerce, and the Cold Neutrons for Biology and Technology (CNBT) program funded by the NIH under grant RR14812 and the Regents of the University of California, for providing the neutron research facilities used in this work.